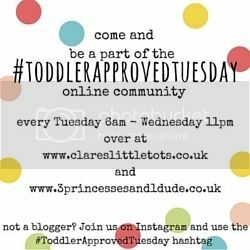 Welcome back to Toddler Approved Tuesday! Last week the Little Tots helped to make (and eat) these simple but delicious Marmite & Cheese Straws last week. Seriously there is no better combination of food! My lovely co-host has been making this beautiful Elmer the Elephant Tissue Paper Painting with her monsters. My two favourite links ups from last week were this Spring Tree kiddie craft from Rainbows are too beautiful. and this DIY Familiar Family Book from Strength in Words. I’ve made these with the Little Tots before and they’re such a fab idea!